There’s no two ways about it – buying a home is stressful. Whether you’re doing it for the first time, or have several purchases under your belt, it’s a complex process that brings up lots of emotions – both good and bad. Let’s face it – there’s a myriad of things that could go wrong during the sales process. Your loan could be rejected. The inspection could reveal that costly repairs need to be made. The appraisal could be lower than the selling price, which could affect your mortgage. The seller could be unpleasant or argumentative. There are plenty of things to worry about. One of the best ways to deal with potential home-buying stress is to be prepared. Here’s what you can do to make buying your home as stress-free as possible. It’s frustrating for both you and your agent if you’re looking at house after house that just doesn’t suit your needs. Before you even begin scheduling appointments to view homes, take some time to define what you’re looking for. What type of house? How many bedrooms? What size? What kind of neighborhood? The clearer you can be, the more likely you’ll find a home you like sooner. 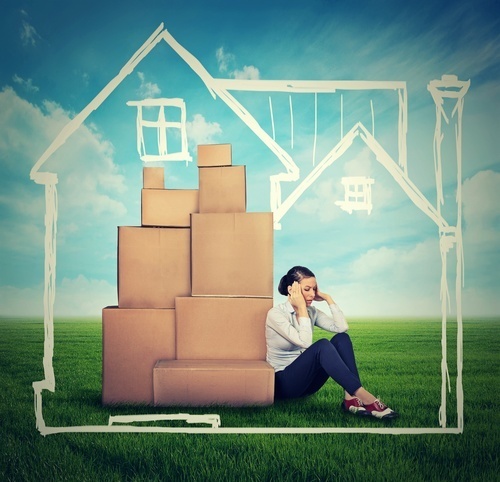 Getting swept up into the dream of owning the perfect home can be intoxicating, but having a mortgage that is not within your financial means is a nightmare. A good rule of thumb is to look for homes that are two or three times what your annual income is. Anything more than that, and you’re inviting excess stress into your life, worrying about how you’ll pay the bills each month. By getting your financial life in order and getting pre-approved for a mortgage ahead of the buying process, you are signaling to sellers that you’re serious about making a purchase. You’re also alleviating a potential pitfall should you not qualify during the deal. In addition, getting pre-approved will help should others also make an offer on the same house. If not, you’ll be one of the first crossed off the list. It’s rare to find the absolute perfect house at the perfect price. And if you are dead set on it, you’re going to stress yourself and your real estate agent out. Unless you can build your home from scratch, you’ll probably need to make some compromises. Determine beforehand what you must have versus what it would be nice to have, so that you know where you can be flexible. Whenever possible, schedule relaxing things to do while you’re going through the process of buying a home. Get a massage. Go out to dinner with friends. See a movie. Take a nap. Visit with family. Go for a drive in the country. Listen to some guided meditations, or take a yoga class. You don’t have to let stress get the better of you when you’re buying a home! If you take some time to get prepared, be clear about what you really need, and allow yourself some time to decompress, you can minimize the adverse effects it has on your well-being.